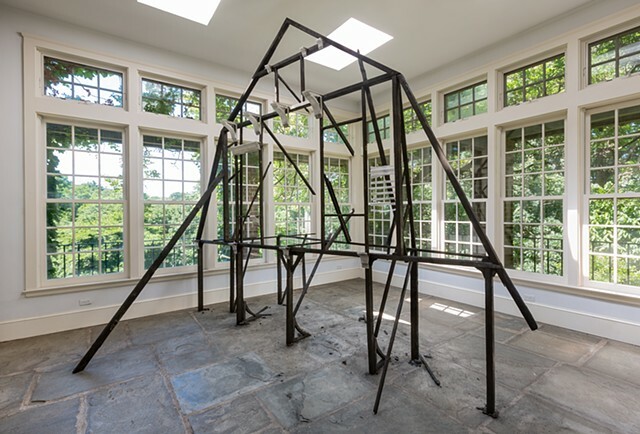 This artwork draws on the history Wave Hill, a former estate, and focuses on the Glyndor House, where the installation was located. 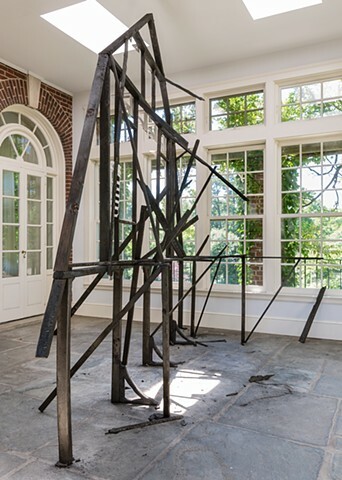 Glyndor I was destroyed in a devastating fire in 1926, and the house was razed and rebuilt as Glyndor II, which is the site of this installation. 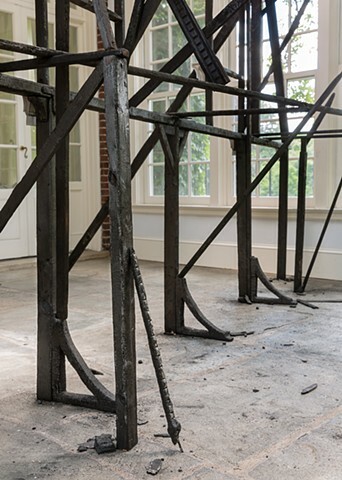 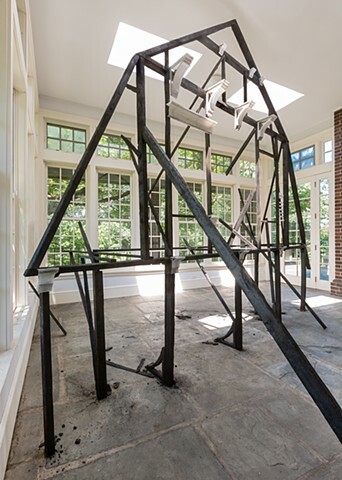 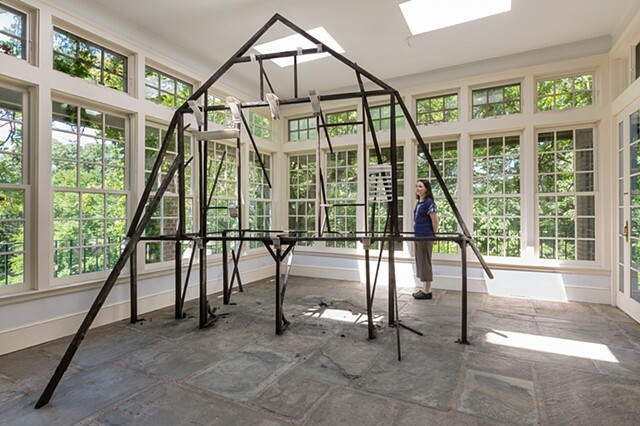 Taking its form from the gambrel roofs of the original building, this sculptural work refers to archival images of the charred remnants of Glyndor I. 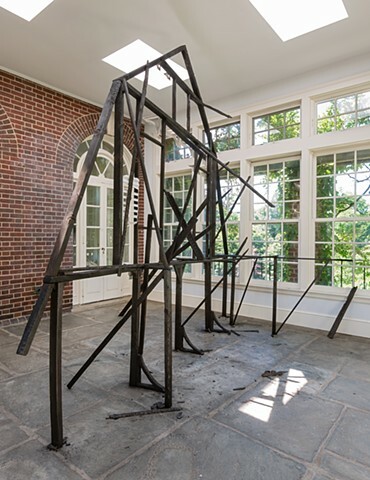 The artwork speaks to the changing nature of the site, and asks viewers to question what is historic or authentic.